Dejdamrong is an Instructor at Evolve Mixed Martial Arts in Singapore. He is a ONE Strawweight World Champion and a 3x Lumpinee Muay Thai World Champion with a professional Muay Thai record of 282-65. 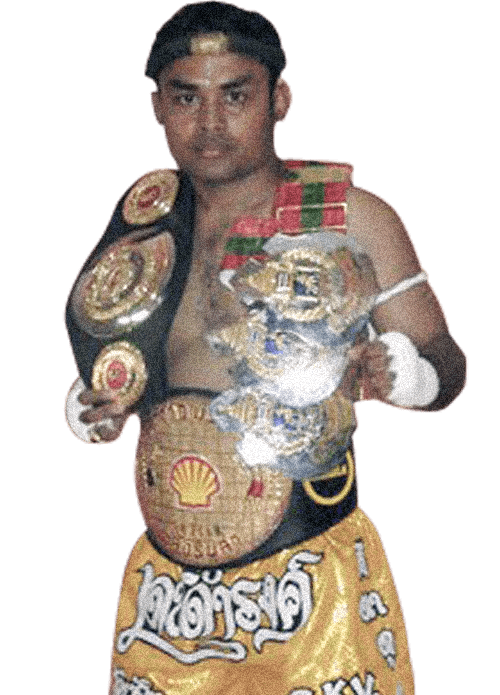 Kru Rong is also a Thailand National Champion and Omnoi Stadium Champion. Dejdamrong is known as a technical fighter with quick hands and lightning feet. He has some of the most unique and creative striking combinations in the sport of Muay Thai. Dejdamrong is a certified Muay Thai instructor from Thailand who brings over 25 years of competitive experience to Evolve MMA. Dejdamrong has earned a reputation for his vicious punching power and deadly low kicks. Aside from martial arts, Dejdamrong’s passion is cooking. His specialty is Southern Thailand cuisine. Dejdamrong’s Muay Thai hero is Phoot Lor Lek, a champion from Trang province who is known for his superb technique. In Thailand, Dejdamrong was given the nickname “Fierce Eyes” because of his intense stare during fights. Dejdamrong made his MMA debut at the age of 35. 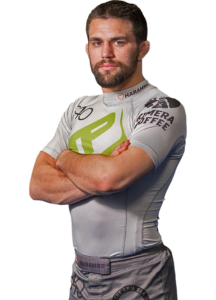 Dejdamrong is a pressure fighter that continuously moves forward with aggressive striking. Born in the Trang Province in the South of Thailand, Dejdamrong started Muay Thai when he was 10 years old. His father originally persuaded him to try Muay Thai, which he quickly fell in love with. 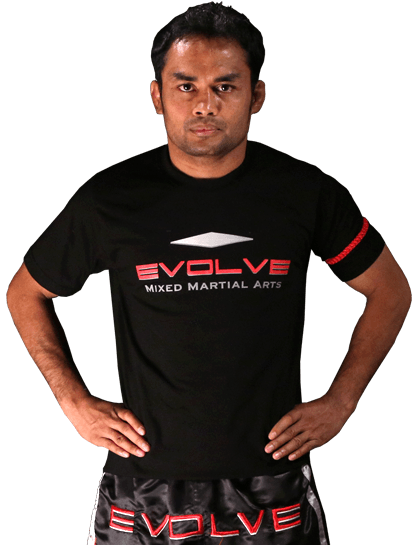 Dejdamrong’s extensive experience as a fighter is reflected in the lessons that he teaches his students at Evolve MMA. He believes in challenging personal limits, especially when it comes to martial arts. According to Dejdamrong, a student can reach his full potential only when he is able to overcome self-imposed barriers.